The information presented on this page was originally released on June 11, 2010. It may not be outdated, but please search our site for more current information. If you plan to quote or reference this information in a publication, please check with the Extension specialist or author before proceeding. MISSISSIPPI STATE – Mississippi’s small wheat crop was nearly harvested by the second week of June, and farmers brought in lower-than-average yields. Erick Larson, grain crops agronomist with the Mississippi State University Extension Service, said individual wheat fields varied greatly in bushels produced. “The state’s yield should average about 50 bushels an acre, which is a little lower than average, but some producers may harvest yields as high as 80 bushels or more an acre,” Larson said. The state is harvesting just 130,000 acres of wheat, down from 165,000 harvested in 2009 and the typical average of 225,000 acres. Wheat acres are down nationally as well. The decline in acres is the result of abnormally wet weather last fall, which meant producers were unable to perform needed field work before planting wheat. Larson said wheat has tremendous ability to compensate for a poor start if the late winter and early spring weather cooperate. This year they did not. Harvest began the last week of May in southern areas and was expected to be complete statewide by the end of the second week of June. Larson estimated that about 100,000 acres of the wheat fields will be double-cropped with late-planted soybeans. “The producers will do some field prep and then have the soybeans planted in a week or so given sufficient moisture to plant,” Larson said. Charlie Bush is the Extension agriculture agent in Bolivar County, which has more wheat than most other Mississippi counties this year. “It seems Bolivar County will have yields averaging in the mid-to-high 50 bushels per acre,” Bush said. Bush said the wheat crop looked good going into harvest. Wheat fields statewide did not have widespread problems with insect pests or diseases, and Bush said this was true in Bolivar County, as well. “All the wheat should be cut by mid-June, and everybody has all their planting done except for the soybeans that are going to be planted after wheat is harvested,” Bush said. 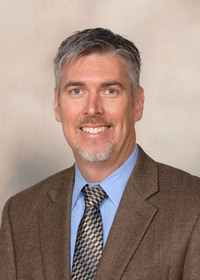 John Michael Riley, Extension agricultural economist, said wheat prices have been trending down in 2010 due to lower use domestically and overseas. The current harvest contract price is $4.30.